Laney Lou and the Bird Dogs have been forging a fresh and energetic sound to the northwest music scene. Their live show is highlighted by unbridled energy, and punctuated by songs performed with fervor and swagger. Fusing old time folk songs with a rock ‘n’ roll attitude, the Bird Dogs push the envelope of what a string band is generally described as. They’ve been hitting the road hard since 2014, sharing stages with Corb Lund, Hayes Carll, hurray for the riff raff, the mavericks, Wynonna Judd, mark Chesnutt, the lil’ smokies and many more. The bird dogs released their first album in the spring of 2016. Recorded live at basecamp studio, the album is one that reflects their live show and makes you want to stomp your feet and crack open a beer. 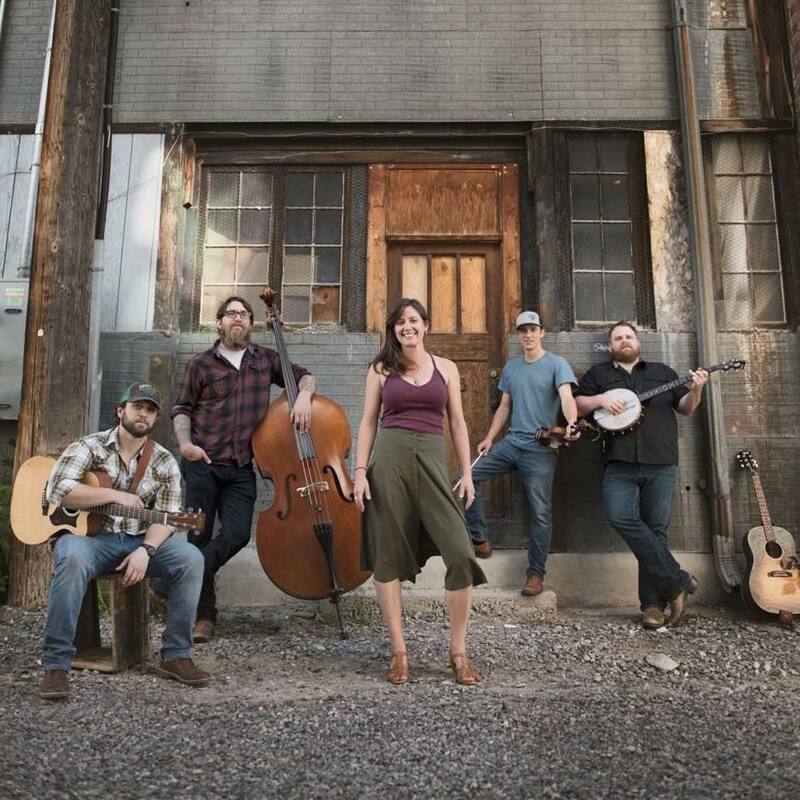 Born under the big sky in Bozeman, Montana, Laney Lou and the Bird Dogs consist of Matt Demarais on banjo/vocals, Ethan Demarais on bass, Lena Schiffer on vocals/guitar, Brian Kassay on fiddle/mandolin, and newly added member josh Moore on vocals/guitar.